As reported from Runnersworld.com and confirmed also by my sources...now it's sure!! 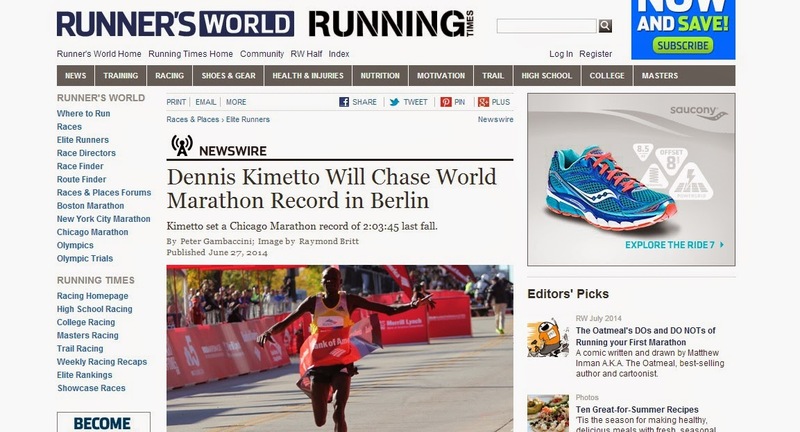 Dennis Kimetto will run BerlinMarathon next september and will chase WorldMarathon Record !!! U can read detailed report by Peter Gambaccini at THIS LINK !!! Really hope to see back this Dennis Kimetto so incredible in ChicagoMarathon last year! !